Who were the first group of Belgian refugees to arrive in Wales? 8th September 1914 – Refugees arrived in Cardiff. By the end of the day over 60 refugees had arrived in the city and 100 more followed the day after prompting the question of where to house them all. Where else did the Belgian refugees stay in Wales? By the end of December, small communities of refugees could be found in every county in Wales. When did they arrive in Porthcawl? At 8.10pm on Friday 9th October 1914. By 29th October, 56 had arrived. 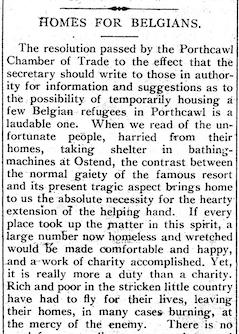 Most Belgian Refugees returned to Belgium at the end of the war.The last one left Porthcawl in February 1919. 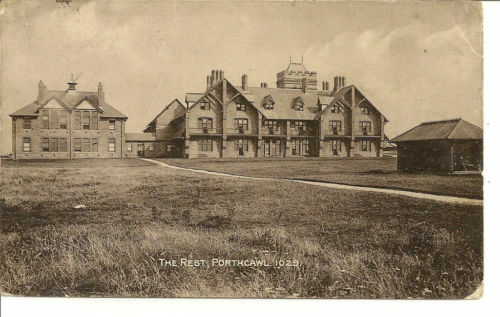 On 26th October, The Porthcawl Rest Home received 29 male Belgian Refugees, paid for by Pentyrch and Cardiff Refugee Funds. 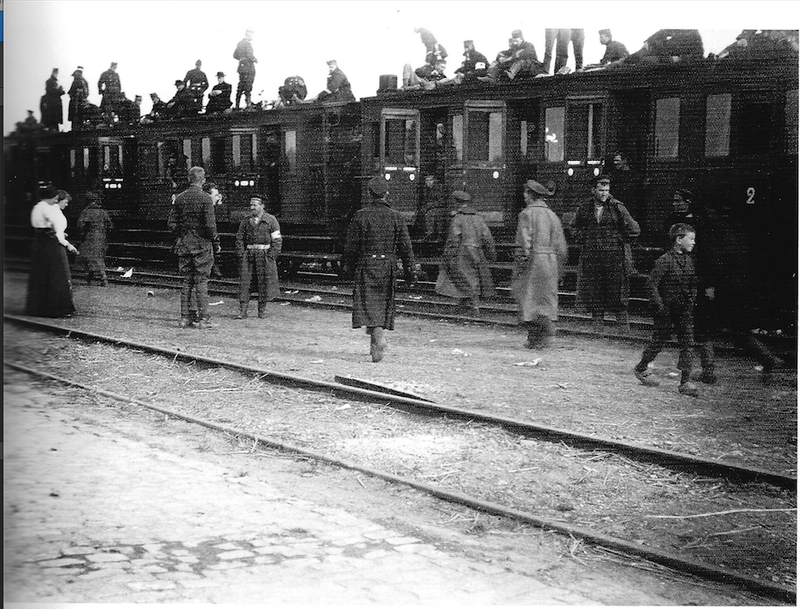 These men, sought refuge in Britain as a result of the Belgian government encouraging men to leave Belgium to avoid possibly working for their German captors. 26 of these men were, later, transferred to the Southerndown Rest Home, the following January, whilst one Peter Sprengel, from Ghent, remained to look after the boiler, and Henri Van Niewrwenhuzze, and Charles van Vaerenbergh, from Sint-Andries , near Bruges, returned home to join the Belgium Army. The Story of the Belgian Refugees in Porthcawl presented through newspaper cuttings of the period.